On 19.11.2018, SPCleantech participated in the “4th Green Smart City Forum” organized by a member-shareholder of the cluster, University of Agriculture in Krakow..
What is the FORUM Green Smart City? 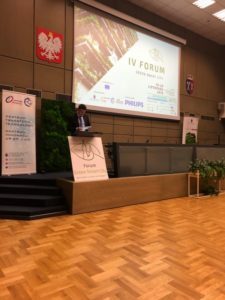 A platform for the exchange of information between local government authorities, universities, environmental protection funds, NGOs, entrepreneurs and residents of Małopolska. The presentation of actions undertaken by the government administration, voivodship authorities and municipalities aimed at reducing low emissions must be based on the synergy of actions of entities on many levels. 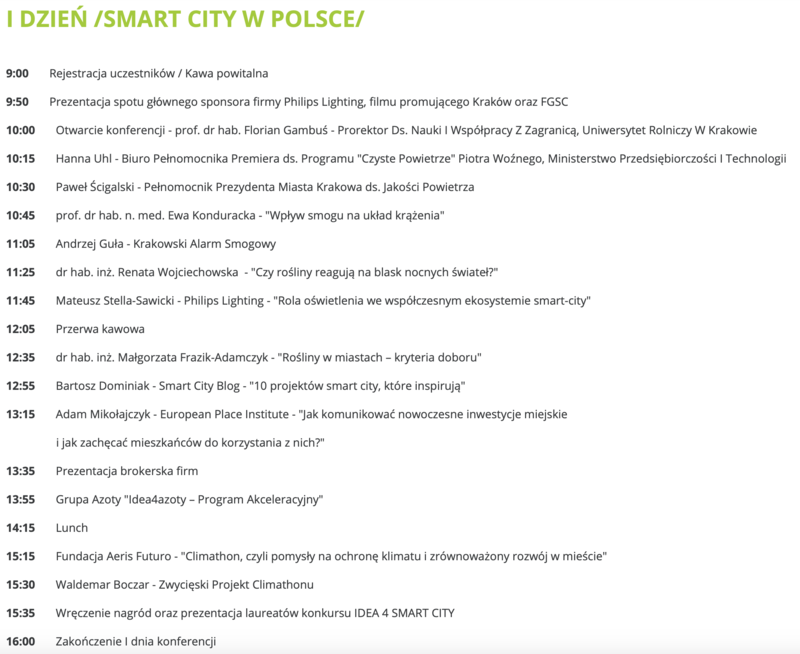 A place of exchange of knowledge and experience on the methods of comprehensive fight against smog and counteracting threats connected with it, Smart City initiatives and new technologies for cities. The conference “IV Forum Green Smart City” permanently inscribed in the calendar of international pro-ecological events. 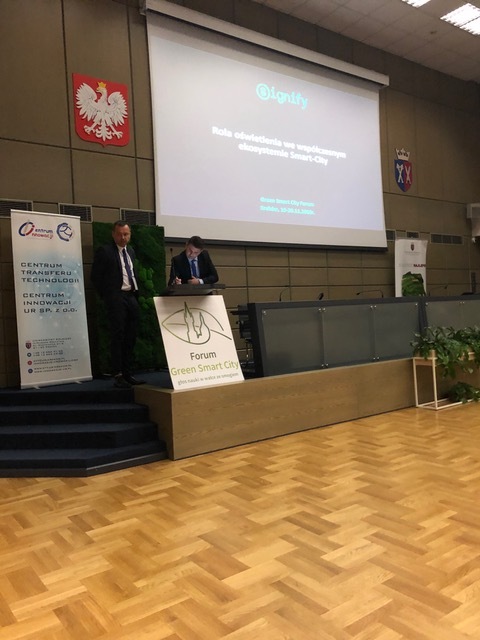 This year, on November 19-20, thanks to the support obtained from the Provincial Fund for Environmental Protection and Water Management in Krakow, the Municipality of Krakow and sponsors including Philips Lighting Polska, a meeting of representatives of authorities, experts, scientists from Krakow and international institutions and interested in the topic took place. 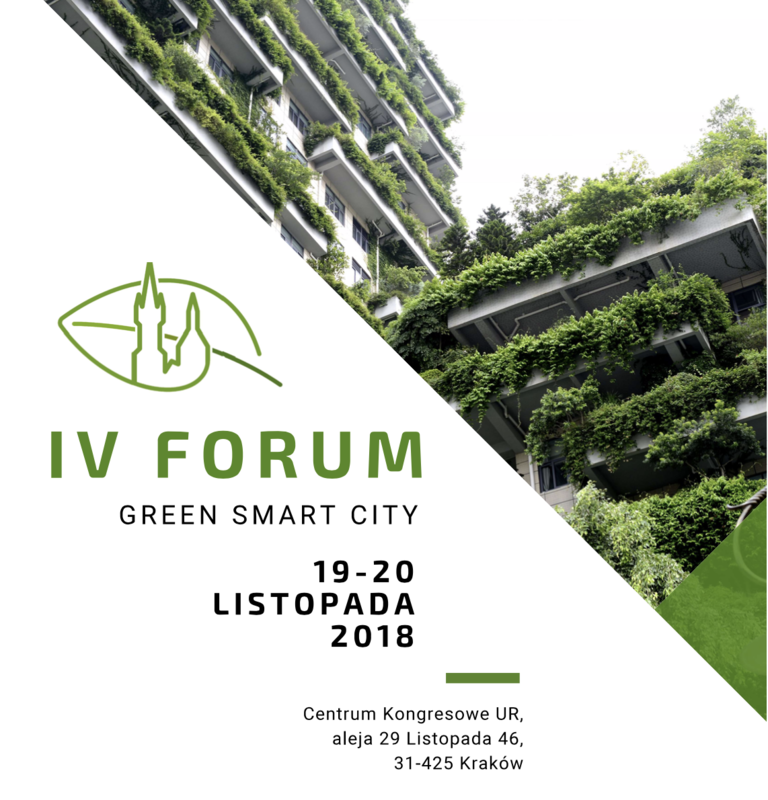 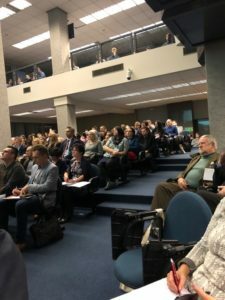 The Green Smart City Forum supports activities aimed at shaping responsible social attitudes in the context of caring for clean air and smart cities tailored to the needs of residents. During the conference, inter alia, topics related to increasing the energy efficiency of Polish homes and preventing the deepening of the phenomenon of energy poverty. 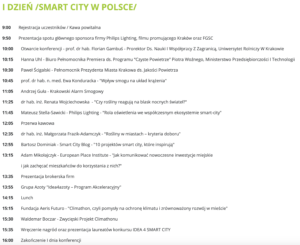 Participants will try to answer the following questions: is electromobility a good response to bad air conditions, and how to encourage residents to change from cars to public transport? 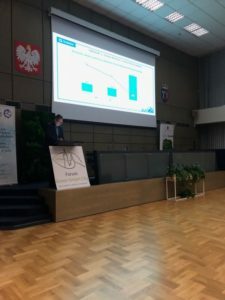 This year, the organizers put a special emphasis on the dissemination of knowledge about the harmfulness of poor air quality among the largest number of residents of Krakow and the Małopolska Voivodship and the identification of effective ways to educate local communities in the fight against bad air, ecological transport and elimination of the problem of using low-quality fuel.